shipped from Indiana, Illinois, Pennsylvania and other states. 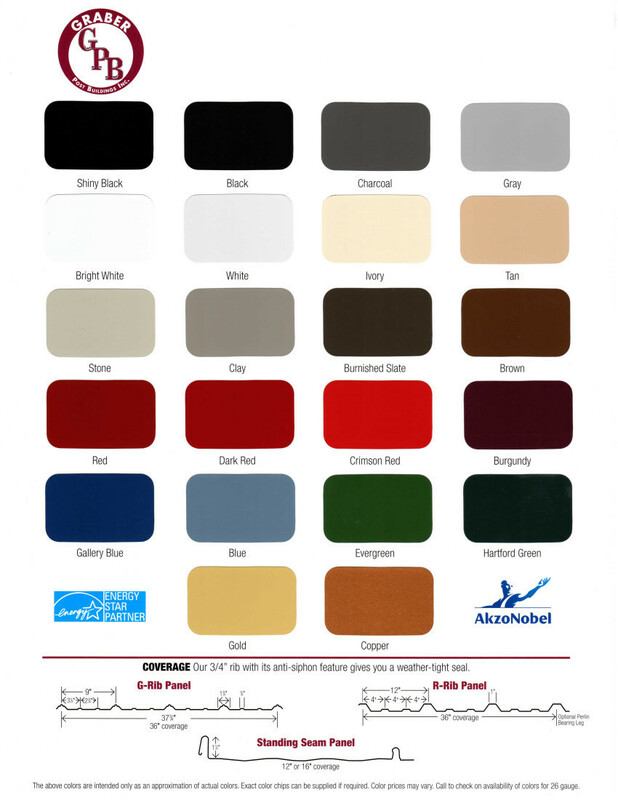 Our metal is offered in 22 different colors in 2 gauges and 3 rib patterns, with up to a 40 year warranty. We also offer secondary metal products at discounted prices that are not warranted. Mountain View offers 4 different types of metal. Top grade Galvalume which carries a 40 year warranty. It has a base of Galvalume under a coat of durable, baked on enamel paint. A Graber line of Galvanized steel. It has a Galvanized base under the baked on enamel paint that has a 30 year warranty. Available painted in dozens of colors or unpainted. It carries no warranty. Everything from standard ridge cap to custom pieces.